Ever since it became public knowledge that Easter Sunday this year would coincide with April Fool’s Day, memes have been circulating over social media drawing parallels between the Christian belief in the resurrection of a dead man with what could possibly have been an April Fool’s Day prank. Few people are aware that the first of April is also Atheist Day. What turned out to be a hoax was eventually accepted as fact. Atheists have claimed the day for their own as well. Perhaps this year, they will take greater delight in pointing out to their Christian friends that the whole Easter story was actually a hoax, an April Fool’s Day prank. So, is Easter a hoax and are we Christians “fools” for believing? Well, atheists would claim this to be so. They would assert that the bible is irrefutable proof that no one saw the corpse of Jesus reanimate. What the disciples actually saw was an empty tomb and an empty tomb, they argue, is not sufficient to prove that the resurrection happened. There are countless empty tombs in the world today, but none of them prove a resurrection had happened. Likewise, subsequent ‘appearances’ of Jesus could be explained away as either mass hallucinations of His followers who desperately wanted to see Him or perhaps stories generated by the followers to further their cause. Thus, for a certified atheists, a Christian’s belief in the resurrection is simply ludicrous and blind. But is their charge tenable? Certainly not if we were to consider the story of Easter once again. Faith, despite what the atheists claim, is not blind. On the contrary, unbelief is blind. Faith sees a reality beyond what eyes can see, a reality that God reveals to us which is more important more real, than what we can see with our physical eyes. In fact, eyesight was never a guarantee that people really “saw” Jesus. Judas was the greatest example to this tragic truth. On the other hand, the beloved disciple saw an empty tomb but did not see the body, and came to belief. For Christians, the resurrection was more than just talking about life after death in general, the immortality of the soul or claiming that Jesus’ soul went to heaven. They’re saying something radically happened to Jesus. More fundamentally, the resurrected life is life in God, life with God, life in God after death. It is this “in God” and this “with God” which characterises the risen life far more than the ‘after death’ aspect.” That's the essential story of the Resurrection. The empty tomb is a necessary condition for the Resurrection, but atheists are right in stating that it's not sufficient. The Apostles needed to see in the flesh that the Lord was alive again in His body, but in a transformed and glorified state. And this they did, and so did many others who witnessed the resurrected Lord in the flesh, not just in their dreams or imagination. 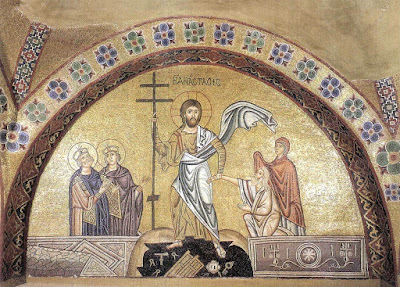 According to St Paul, Christ's resurrection is attested by more than 500 eyewitnesses whose experience, simplicity, and uprightness of life rendered them incapable of inventing such a fable. They had nothing in this life to gain, but everything to lose by their testimony, exhibited in their apostolic life and martyrdom. 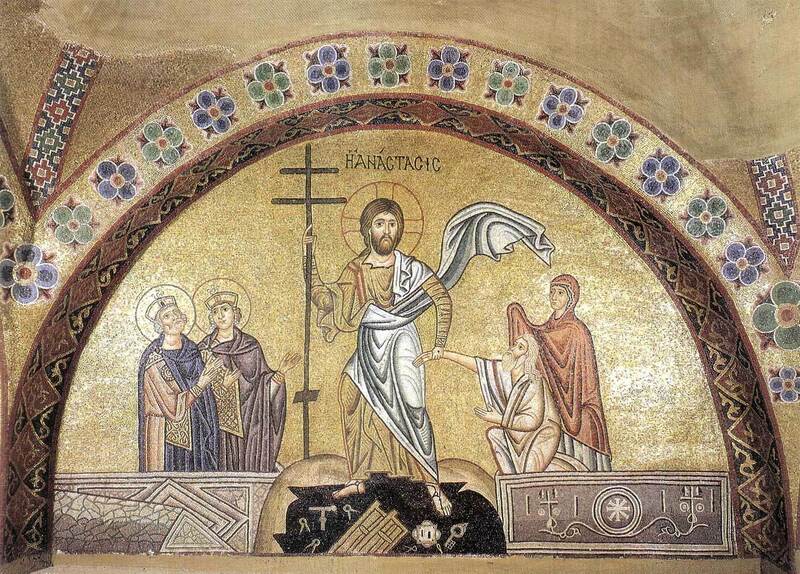 Even as Christianity spread throughout the Roman Empire, the Resurrection was one of the stumbling blocks. Christians were mocked for their belief. It's impossible; even ancient people knew that dead people stayed dead. And yet, we witness the rise of the Church in spite of all these unfavourable odds. St. Thomas Aquinas notes that while there is nothing strange that a man should die, but that God should die is incomprehensible. This thought led Tertullian to exclaim, “It must be true, because it is impossible!” Similarly, that a man should rise from the dead is problematic -- did not the Athenians laugh Paul to scorn, when he proposed this idea to them? -- and can only be resolved by a divine intervention of the highest order. This is why the Resurrection is the proof for the Divinity of Christ, for only God could so corroborate His divine claim. Popular culture now holds up many Christ figures. If you watch the superhero movies, they make liberal use of Christian themes, death and resurrection, but they also seem interchangeable with Greek, Roman and Nordic mythology, as if all have equal cultural value. A lot of people actually treat the story of the Passion and Resurrection of Christ as just one more myth. But the real difference about Jesus and superheroes is that the resurrection of Christ is not something that happened on top of Mount Olympus before time, but God broke into time. All the episodes with the risen Lord confirm that the post-resurrection experiences with Christ were real, visible, and accessible through the bodily senses. This makes the resurrection a firm reality, established on verifiable data, on plenty of eyewitnesses and therefore not a myth. The atheist’s denial flies in the face of much evidence to the contrary. Both the rejection of God and that of the resurrection is anything but scientific, though they might quote from science to bolster their position. The real reason is moral. When man chooses to live a life autonomous of any higher order, he ultimately must rid himself of the source of that order – God must die for man to be set free. This is what the psalmist means when he says, “The fool says in his heart, ‘There is no God.’” (Psalm 14:1 and Psalm 53:1). He is not saying that unintelligent people do not believe in God. Rather, the text is saying that sinful people do not wish to believe in God. Therefore the rejection of God is due to a desire to live free of the moral constraints God requires and to escape the guilt that accompanies the violation of those constraints. When that person begins to embrace a man-made cause, and in the process, do what is right in his own eyes, he begins to justify abominable and evil things. As St Paul so rightly puts it, “they exchanged the truth about God for a lie” (Romans 1:18–25). The resurrection of Christ is and must always be the foundation of our Christian faith. The resurrection gives credence, authenticity and reality to our faith. It is the cause of our salvation. It proves salvation is real for millions and millions of believers down the age from all over the world and also millions who have gone to be with the Lord hoping to be resurrected someday. “The Resurrection above all constitutes the confirmation of all Christ’s works and teachings. All truths, even those most inaccessible to human reason, find their justification if Christ by His Resurrection has given proof of His divine authority, which he had promised” (Catechism of the Catholic Church, 651). Many have gone to their deaths knowing that their faith has not been in vain, as St Paul reminds us, “if there is no resurrection of the dead, then is Christ not risen. And if Christ be not risen, then is our preaching vain, and your faith is also vain” (1 Cor. 15: 14-15). So Easter falling on April Fool’s day this year may not be an incongruity after all. Christians are called to be “fools for Christ,” which does not in any way imply that we are stupid and lack common sense and judgment. But rather, that we will share the lot of the One who died for us and rose again on the third day. It is those who reject the idea of the resurrection, who reject the idea of a Saviour, who reject the idea of a God who loves us so much that He would sacrifice His only Begotten Son so that we may have life, who are the real fools. For indeed, it is only the fool who is capable of saying in his heart, ‘there is no God’. To such a fool, there is no hope beyond this transient impermanent material world, there is no consolation from having to endure suffering in this life, death would truly be the end of the road, a dead end. This is the significance of the resurrection. For without it, there is no salvation, no victory over sin and no eternal life.